Imagine this: Combine a roller coaster of teenage emotions—those volatile, hard to control passions—with frustration and anger. Can you visualize it? Or perhaps you remember your own younger days, as you pushed through those sensations and into adulthood. Scary? It can be when the theme is Wrath. It’s my pleasure to introduce you to our final seven authors and their stories! If any of their blurbs catch your eye, consider posting a review on Amazon or Goodreads. The anthology will be released on August 11, 2017! Justin has been seeing the same therapist for three years and there are few things he hates more than their weekly sessions together. He usually feels powerless and at the mercy of his psychiatrist, but today is different. Empowered by new information, Justin feels ready to take on Dr. Winters and make sure he never has to discuss his issues with her again. M. Polo is a German-Panamanian who has lived in many places including Costa Rica, Canada, Ireland, Spain, Finland, Sweden and his very own head (a pace he still regularly resides in today). While he is new to the world of writing fiction, he has always made make-believe part of his private and professional life: creating video games, entertaining his children or leading his adult friends into fantasy worlds of heroes, dungeons and dragons. It fills him with pride and joy to appear in the Seven Deadly Sins Anthology with his first published work, A Lion’s Wrath. Daniel is tired of feeling purposeless, but he’s not allowed to feel much else. He’s at the mercy of adults who don’t allow true emotions to surface. Haunted by his memories, he lives day by day in a state of boredom and apathy—until he meets a mysterious girl with the promise of escape. Can he suppress the rage from his past, and get out for good? M.X. Selles spends much of her time obsessing over her beautiful cats in the south of England. Sometimes, she likes to pretend she is a human feline. She’s always loved writing and is currently working on a science fiction young adult novel. She is extremely excited and honoured by her short story featuring in Seven Deadly Sins: Wrath. Cheri couldn’t control her emotions. She’s lost everything—school friends, property, and her grandmother—out of rage. Using witchcraft passed down through the female line of her ancestry, she casts one spell after another to contact killers from the past. She hopes to find someone who will teach her how to control herself by examining their inner turmoil and psyche. Nothing works until she makes contact with a young Cherokee warrior. Convinced he held the wrath of his entire people when he killed their betrayer, Cheri brings the dangerous man into her world. Still, her grandmother’s voice echoes through her mind: Are you crazy? Or simply stupid? K.T. 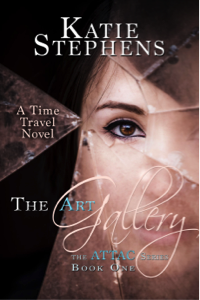 Stephens writes YA and children’s books and is especially enamored of the circus. Just mention acrobats and strongmen and she’ll jump headfirst into this world of magic, color and precision and take you with her. When she steps away from the big top, she works as editor, publisher and author on her pet project—Seven Deadly Sins: A YA Anthology—and writes adult literature under the pseudonym Katie Stephens. Although her two grown children live on opposite sides of the USA, she lives squarely in the middle of the country with her husband and two adorably obsessive felines. Julie never expected to hear her name called on Valentine’s Day. But there she was, walking to the front of the class to receive a red heart. Her excitement is short lived, though, when she realizes the Valentine was not from an admirer, but a cruel hoax instigated by two mean girls. Julie’s anger erupts, unleashing the monster inside her. Will this monster help her when she needs it the most? Or will one little mistake, caused by her outrage, end the life of someone she loves? M.J. Travis is a native southern Californian who began writing four years ago when her second child was no longer in need of constant supervision. Her love of books began at an early age. She mostly writes short stories for YA and children, but has just started to leap into the workings of a novel. She has previously been published in the Seven Deadly Sins series. Eliza and Chloe were born into a culture that relished powers. As twins, one was destined to be stronger, and with that strength came the possibility of uncontrolled rage. When others sought to steal the strong twins’ power, they chose the wrong girl. After Chloe’s funeral, Eliza makes her way to the place where her sister died, determined to find those responsible and enact her revenge. Elle Turpitt has always preferred spending time in fictional realities over the real one. These, sometimes, are of her own creation. She returned to her home in South Wales after studying Creative Writing at the University of Hull. When not writing, she is often immersed in TV, films, video games or books. Although she has been writing and creating stories ever since she could talk, Dying of the Light in the Seven Deadly Sins Anthology is her first printed publication. Judie is the local eccentric homeless woman who spends her days keeping the quiet beach town of Newport clean and green. Something that came easy when she was young, lately the complete disregard that people have for the environment is killing her. When Judie meets Ashley she tries with all her might to teach the young girl to have respect for the earth, but Ashley’s latest destructive stunt just may be her last. D.A. Weaver has lived in sunny California her entire life. When she was a kid, however, she’d wander off to wherever her creativity took her, usually recruiting her friends to be the actors in her latest play. Whether it was the dirt lot “stage” down the street that transformed into an island plagued by cannibals and haunted by quirky pirates, or a refrigerator box spaceship in her backyard that traveled to worlds that were yet to be discovered, reality was always the most distant location in her mind. When her friends couldn’t join her, there was always an imaginary friend or two who were easily persuaded to join along in her adventures. As far back as elementary school Doreen knew that the only thing that would make her truly happy was to bring those concocted people and places to life for others to enjoy. To every child young and old: May you always find happiness, adventure, and a whole lot of magic along your journey. And don’t forget to let your imagination come out and play today! Bullies leave scars—some physical, some emotional, but all forever. When a terrifying beast appears in the shadows of his high school and a former bully is found mutilated, Corbin begins to wonder if his prayers have been answered. Determined to keep Sam away from the girl of his dreams, Corbin embraces his anger and calls on the beast. But things aren’t always what they seem. Daniel I. Weaver is a Pennsylvania native and has been previously published in Light at the Edge of Darkness and Dragons, Knights, & Angels: Issue 46. A healthcare professional by day, Daniel much prefers reading and writing fiction, kayaking, martial arts, and cinema. With most of his children well on their way toward adulthood, Daniel finds himself with more time to pursue those passions and looks forward to publishing many more pieces in the future.